There are so many good reasons to recycle and Green Toys is one of them. This clever US company creates their simple toys from recycled plastic and other environmentally friendly resources. In fact the main ingredient used to make these terrific toys is plastic milk cartons. Green Toys are rightfully proud of their eco-friendly products. It’s nice to know that for every 500g of recycled milk jugs used to make their toys, enough electricity is saved to power a television for three weeks. 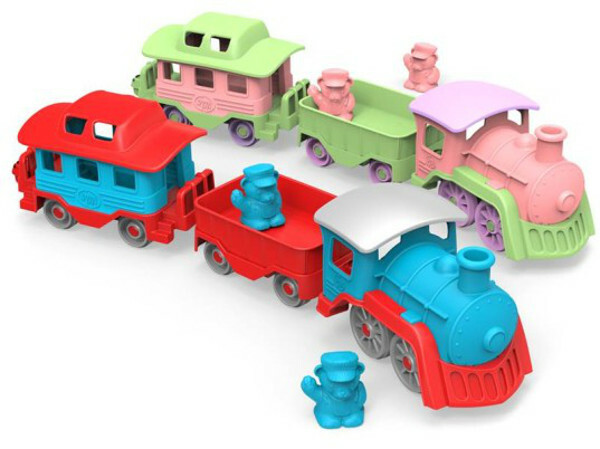 Green Toys have just unveiled their new 2014 range, which includes more fun and colourful play things for little ones. This green company’s toy range has expanded considerably since we last showed them off in 2012 and previously in 2008. 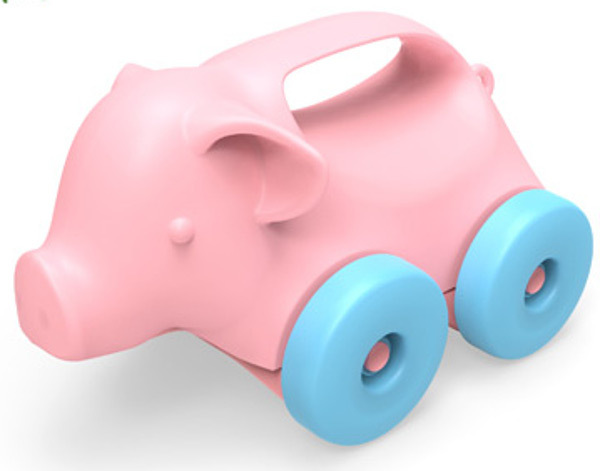 The Animals-on-Wheels are lots of fun and easy to handle for crawlers and toddlers. No sharp edges, no motorised compartments – just lots of imaginative play. Chose from the pig, elephant or turtle. The Green Toys Helicopter has spinning rotors, sleek undersides for smooth landings and an accompanying bear pilot to steer the course. Like the helicopter, the Green Toys Seacopter has an open design cockpit making it easy to manoeuvre bear in and out. That same bear dons his train conductor hat to be a part of the Green Toys Train. The steam engine pulls an open wagon and a carriage, which can easily be unhooked and used separately. Chose from the blue and red colour scheme or the pink, green and purple. 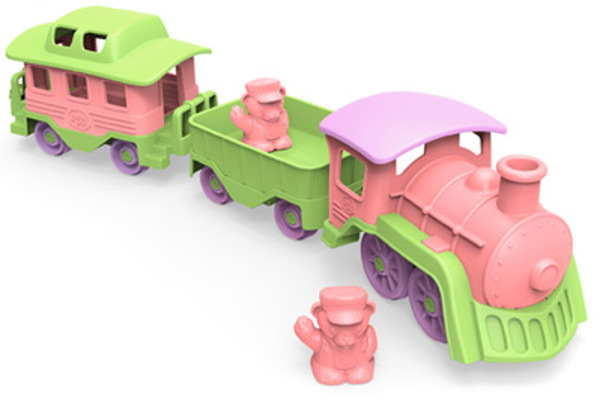 These brand new Green Toys are dishwasher safe, contain no BPA and are printed with soy ink. Look out, they are arriving in stores soon.